As the Chief Clinical Officer at A Healing Place—The Estates Dr. Grinstead and the Program Team specialize in treating people who suffer with the "Triple Diagnosis" of chronic pain, addictive disorders and psychological conditions that are often complicated by coexisting trauma, depression, anxiety and codependency. Dr. Grinstead will provide a brief presentation on the unique challenges faced these patients suffering with this "Triple Diagnosis" and solutions for addressing it. Since 1984, Dr. Stephen F. Grinstead – Chief Clinical Officer – has specialized in pain management, substance use disorders, eating disorders, and coexisting mental and personality disorders. He advocates having patients play an active role in the recovery process because he wants them to realize that they have power over how they perceive and manage pain. 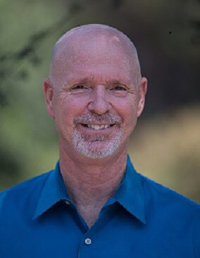 Dr. Grinstead is the author of a number of books including; Freedom from Suffering: A Journey of Hope; Relapse Prevention Therapy Workbook; Addiction-Free Pain Management® Recovery Guide; and the Denial Management Counseling Professional Guide. Dr. Grinstead is an Advanced Relapse Prevention Specialist and California and Licensed Marriage and Family Therapist. Since 1996, he has conducted nationwide seminars and certification trainings for over 30,000 healthcare providers – including therapists and counselors on Addiction-Free Pain Management®, Managing Pain Medication in Recovery; Managing Pain and Prescription Drug Abuse; Relapse Prevention Therapy; Relapse Prevention Counseling, and Denial Management Counseling. We look forward to seeing you Friday, July 28th!